We finally have snow on our ground! 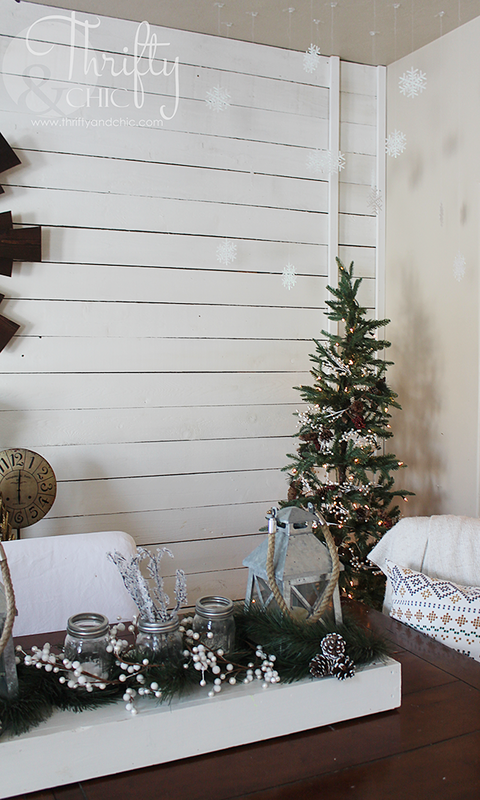 But, it took until now to get here :) I wanted to speed things along a little bit in the snow department, so I created a cute little snowflake wonderland in our house for our kids. I knew they would love it and get a kick out of it. 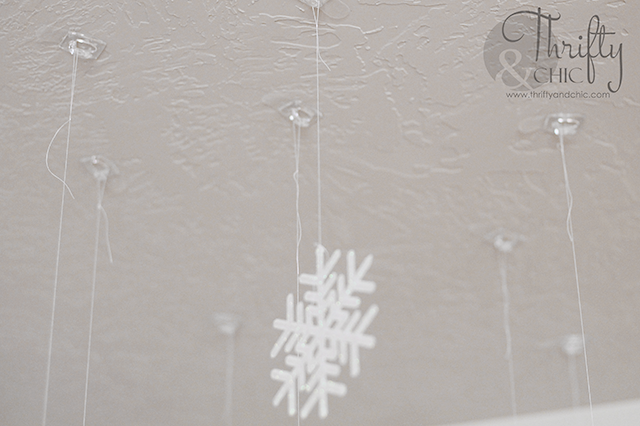 Plus, it's sort of whimsical and fun to look at, and a little mesmerizing at times...especially at dinner since I decided to hang the snowflakes in our dining room. 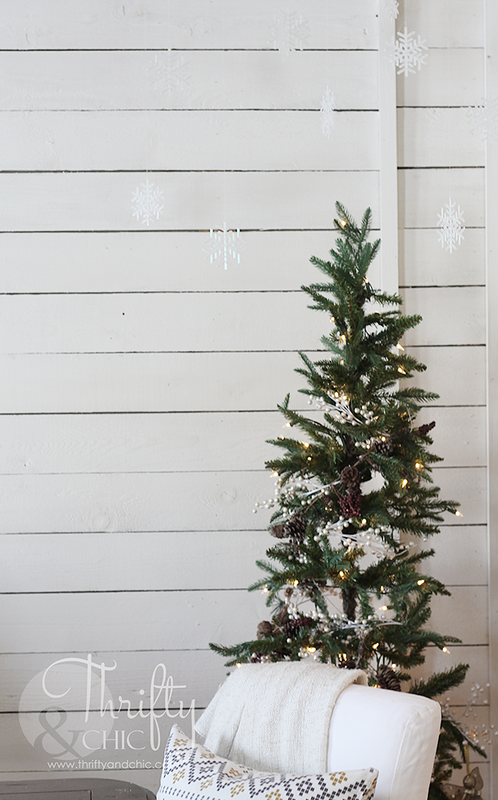 This was a super easy project, the hardest thing was trying to find where to put all the snowflakes. I tried in a ton of different places, but ultimately decided to do it in the dining room since it wasn't already too busy in there from other decor. So, it made a super simple little accent piece. 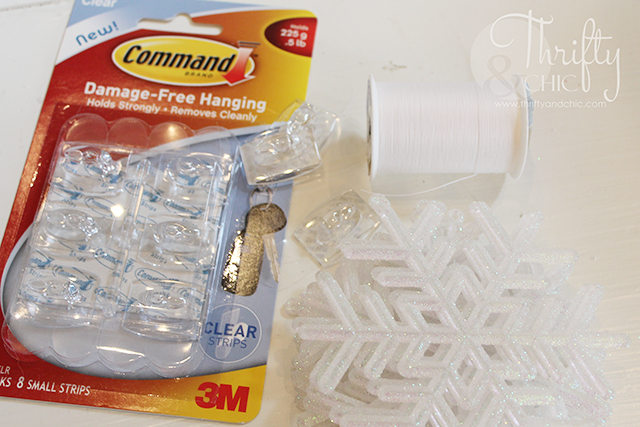 To create these, I used the clear Command Brand hooks, some snowflake ornaments, and white thread. 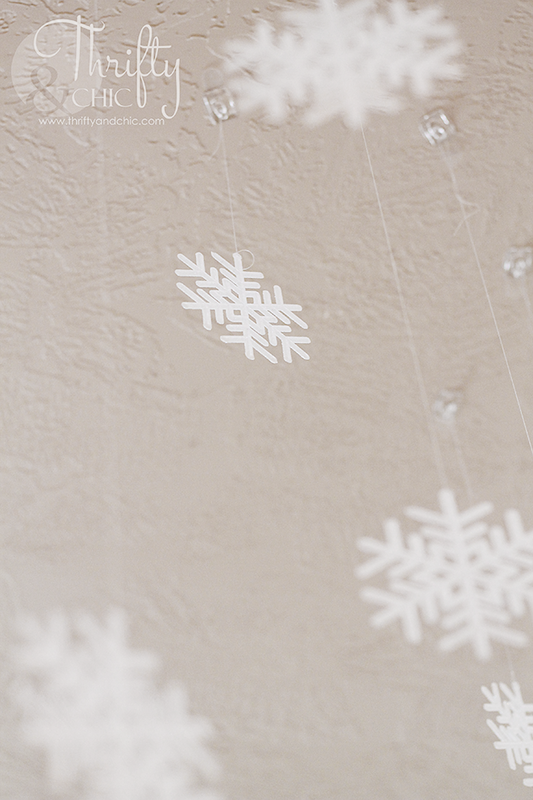 I placed the hooks onto the ceiling, then hung the snowflakes from varying lengths of thread. You can barely see them in the photos against my white wall, but they are there! On that note, Christmas is one week away! I feel like I just barely decorated and all of a sudden it's going to be taken down soon :( I think I'm starting to get separation anxiety already from the thought of it. So cute! I did something similar inside our faux fireplace box. Next year I'll have to steal your idea for the ceiling. oh that would be cute inside a faux fireplace! How fun is this. Love it.